US President Donald Trump on Friday said he would attend a November celebration in Paris marking the end of World War I, hours after a military parade planned for the same time in Washington was postponed over soaring costs. Trump said he had in fact canceled that event, blaming local politicians for charging a "ridiculously high" price and vowing to "attend the big parade already scheduled at Andrews Air Force Base on a different date, & go to the Paris parade, celebrating the end of the War, on November 11th." "Maybe we will do something next year in D.C. when the cost comes WAY DOWN," the US president said, adding: "Now we can buy some more jet fighters!" 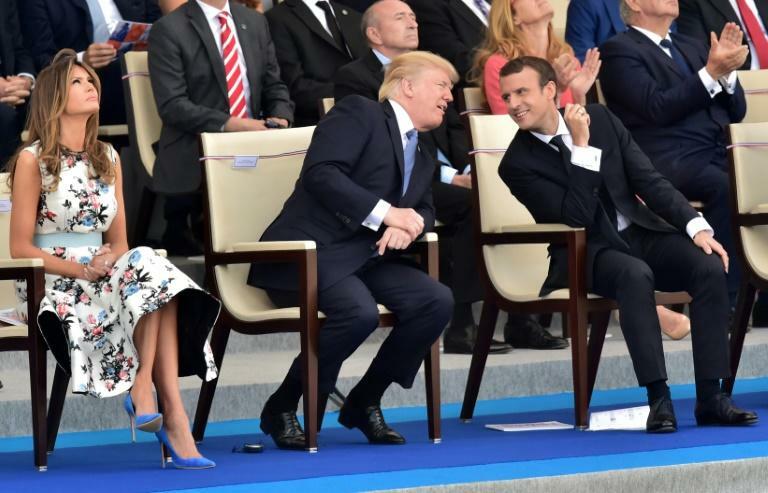 Trump had ordered a show of military prowess after marveling at France's Bastille Day parade last year -- but the idea drew scorn from critics, who said it would be a waste of money and akin to events staged by authoritarian regimes such as North Korea. A US official told AFP on Thursday the planning estimate had soared as high as $92 million, though no final figure has been reached. "The local politicians who run Washington, D.C. (poorly) know a windfall when they see it," Trump said Friday. "When asked to give us a price for holding a great celebratory military parade, they wanted a number so ridiculously high that I cancelled it." "Never let someone hold you up!" he added.